Pronounced “oll-yow”, Olhão is an authentic Portugese working town and major fishing port in the Algarve with many facets: fishing boats, a pleasant promenade with cool gardens and tile-fronted town houses with wrought-iron balconies. 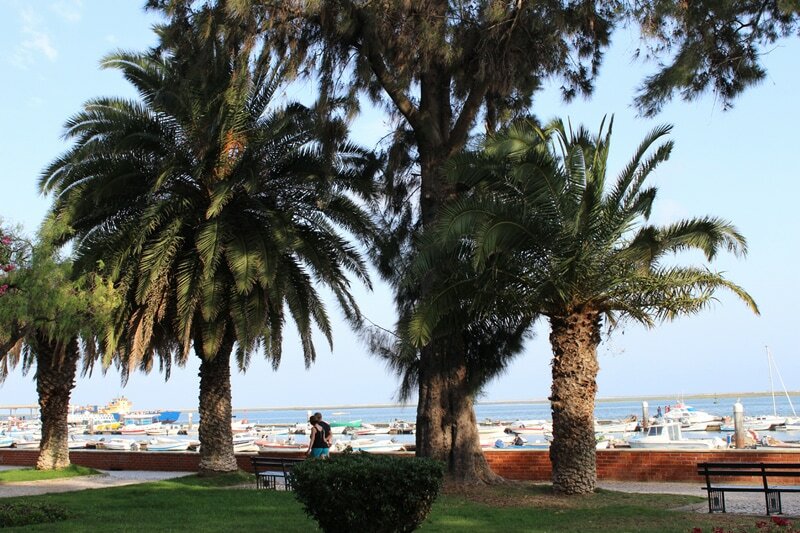 In the historical part you can find old churches and there are also two thriving markets along the water front supplying sea food straight from the port, and a colourful array of locally grown fruit and vegetables, where you can capture local street life or just pick an intimate corner to paint. 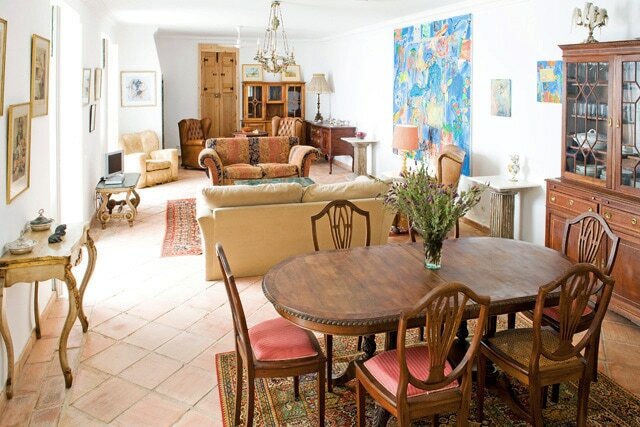 The painting week is based at Olhão’s Art School, a complex with private terraces, courtyards and a swimming pool located on a top floor terrace. 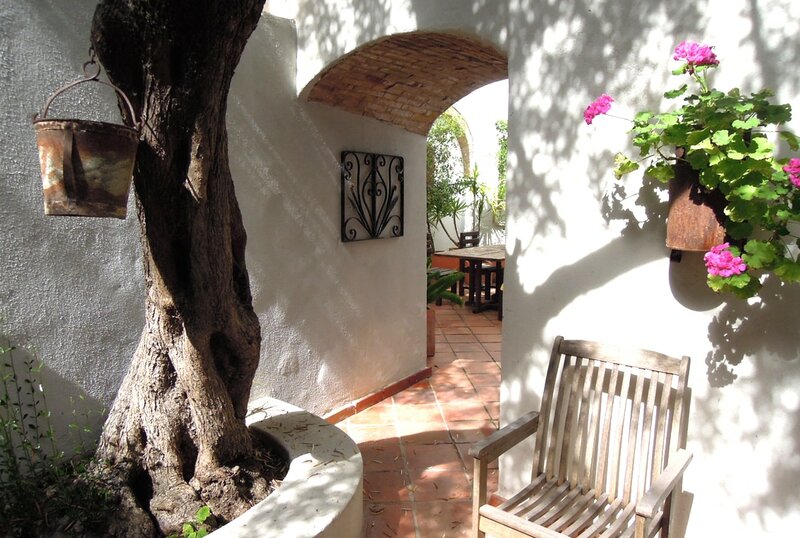 The studio features vaulted ceilings with Roman brick work, a stimulating space for artistic creativity. Painting trips include an excursion to the attractive fishing village of Fuseta. 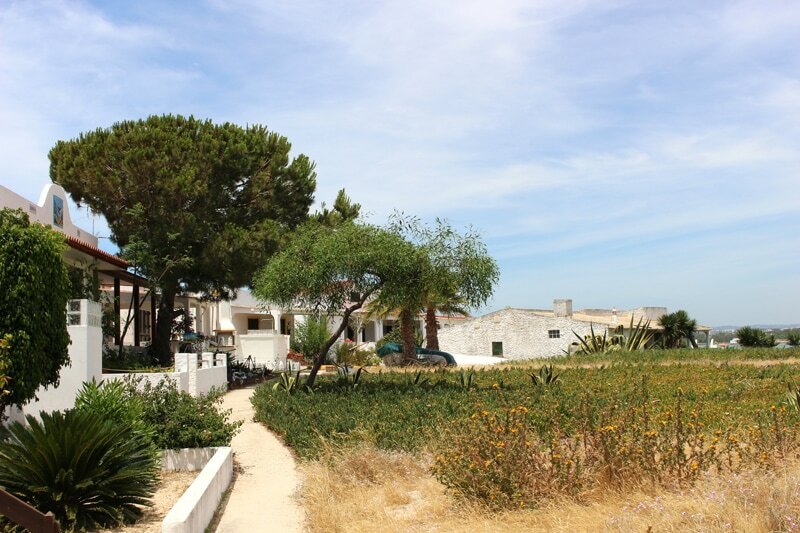 You will also have the opportunity to go on an excursion by private boat to the peaceful, pedestrian only island of Armona, which is part of Ria Formosa national park presenting the painter with wonderful wildlife and fishing boats in the lagoons. There is no shortage of inspirational subjects for beginners and more advanced painters. Non-painting partners are very welcome and invited to join in, and places are easy to get around by ferries or a speedboat water taxi for extra outings. Prices are very reasonable for mid-week flights and we have taken advantage of this, by running the painting course from Wednesday to Wednesday. Beginners and accomplished painters welcome! "Thank you again for a delightful week in Portugal: excellent accommodation and food; lovely companions; a great tutor and choice of subjects to paint. What more could one hope for?" "Thanks for a great week in Portugal with interesting venues - we were well looked after in the art school. I feel that my watercolour is progressing, many thanks for your help." 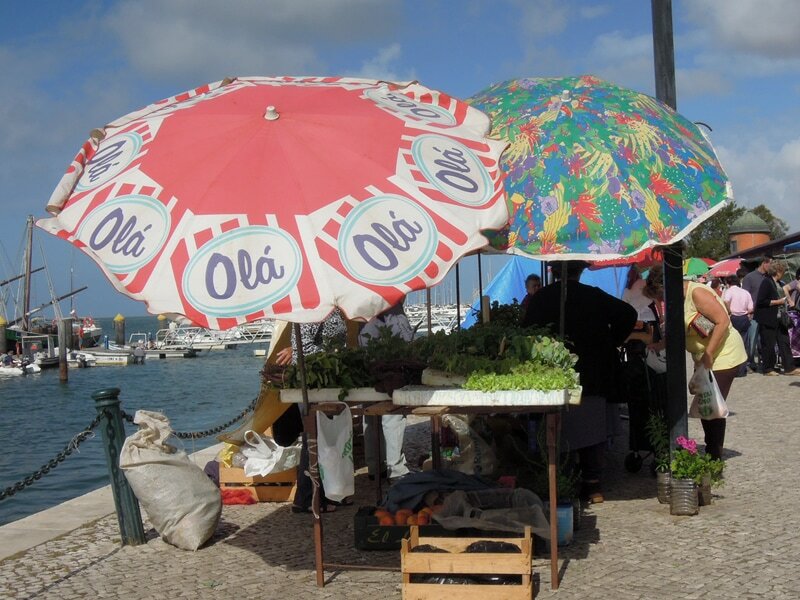 "I've had a wonderful holiday in Olhao and have learned so much from you. My painting has improved after your very patient and encouraging instruction." 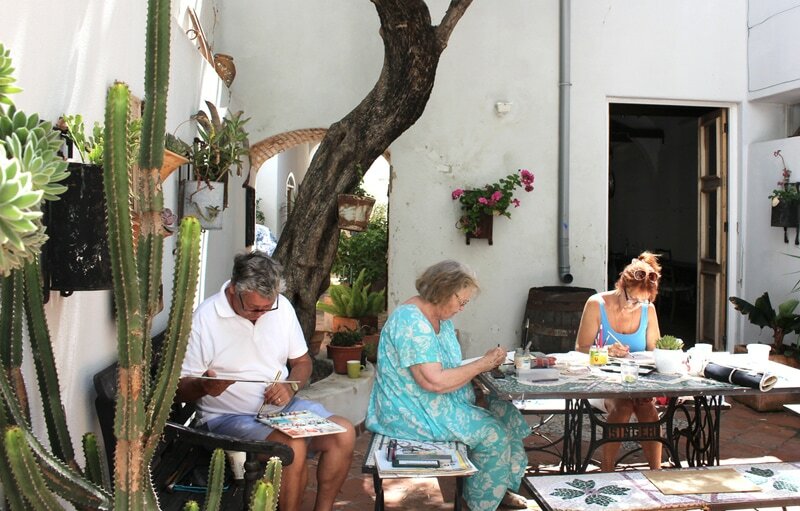 "The highlight of my trip to Portugal this year was being able to take part in your wonderful painting course in Olhao. The others in the group were bright, cheerful, funny and an absolute joy to spend a week with. We shared many laughs and happy experiences, and I now have some new friends to keep in touch with." "I was pleased with my results and look forward to painting with you again. I hope all the rest of your courses this year are as successful as Olhao was. I loved it!"